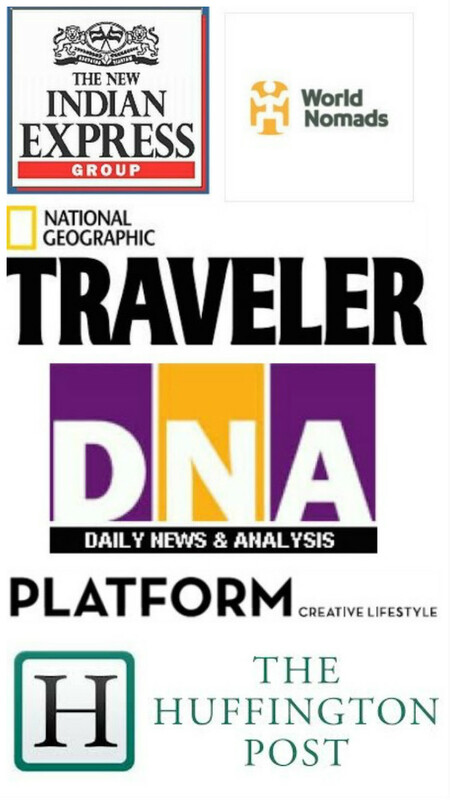 If you are looking at Goa beyond it's beaches and parties, here I am listing few very interesting and offbeat things to do there. Even better, if its monsoons - for its very quiet, green and getting little bit drenched while riding on your bike is FUN. 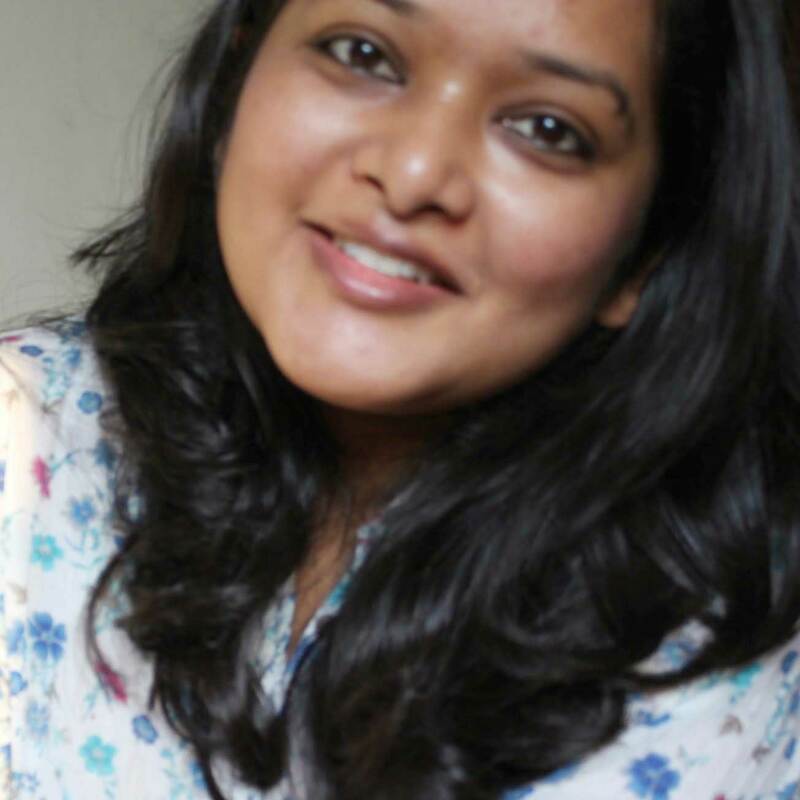 I have been visiting Goa over monsoons since past many years, but it was this year that my head was reeling to explore something new and exciting. And i was not disappointed at all, infact I got new insights into the state otherwise equated to beach, sun, alcohol and parties. 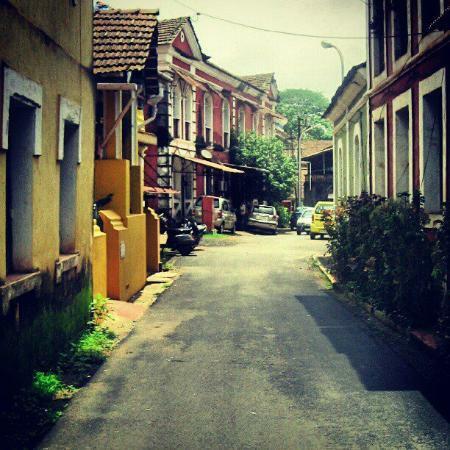 This was Goa from olden days, not beaten down by tourist traffic, but offering pure essence of Goan culture and heritage. 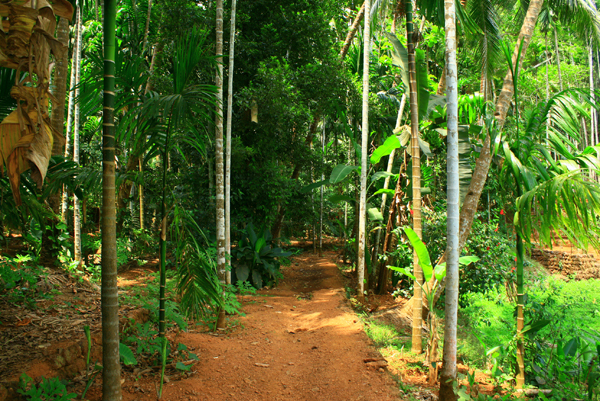 Ponda maps itself in central Goa, marked with vast areas of forested lands, quaint villages and small temples. 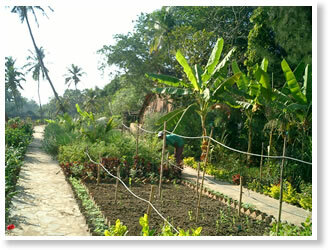 There are several spice plantations privately owned and maintained generations after generations. I visited Savoi Plantations. It covers about 100 acres of land with all sorts of trees and plantations stretching onto a hill. While yes it took several wrong turns and missed landmarks before we could reach Savoi from Margaon in about 1.5 hrs, but that's not a complain at all. Lack of signage on roads is quickly fixed by enthusiastic and helpful team at Savoi who will call and keep directing on roads. And more than anything else, its the 'getting-lost' drive through forests and Goan hamlets which will take you in a different plane all together ! 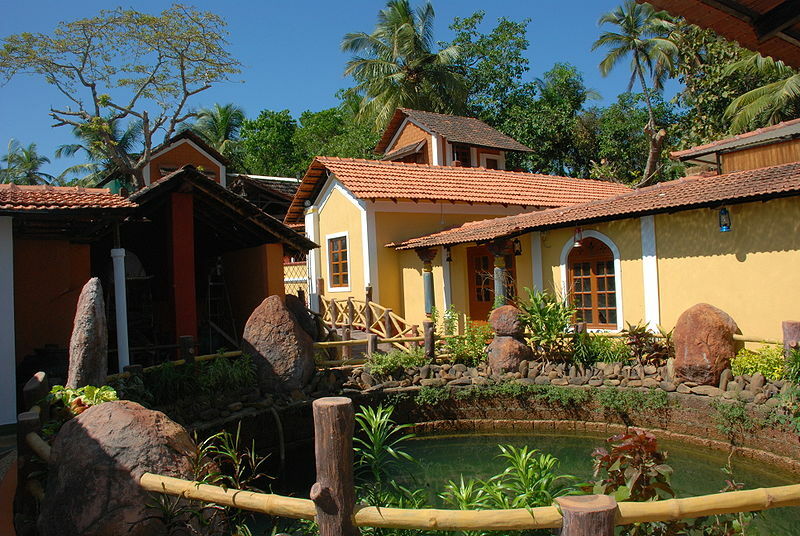 A call before your visit is highly recommended because they offer home-made sumptuous authentic Goan lunch too, which you surely don't want to miss. Our very young and eager plantation guide informed us that plantations are over 200 years old, 100% Organic and have been maintained by the same family generation after generations. It was very interesting and knowledgeable to see for real where our cloves, bay leaves, beetle nuts, pepper, cardamom etc come from. 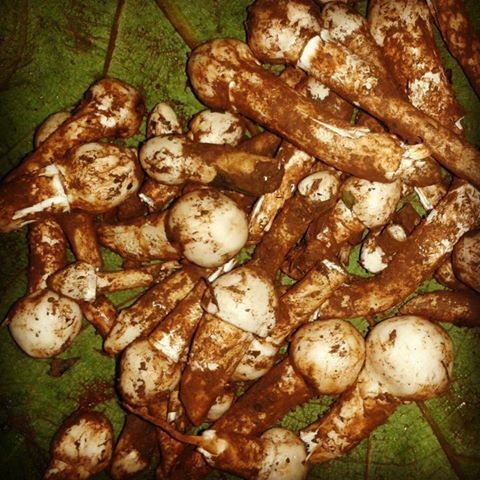 These plantations are extremely rich and well maintained, one can also find pineapple, lemon grass, coconut (of course), jackfruit, papaya, vanilla [yes :) !!] and likes too. Overall an excellent day-trip which is a must-visit for nature lovers. Fee : Rs. 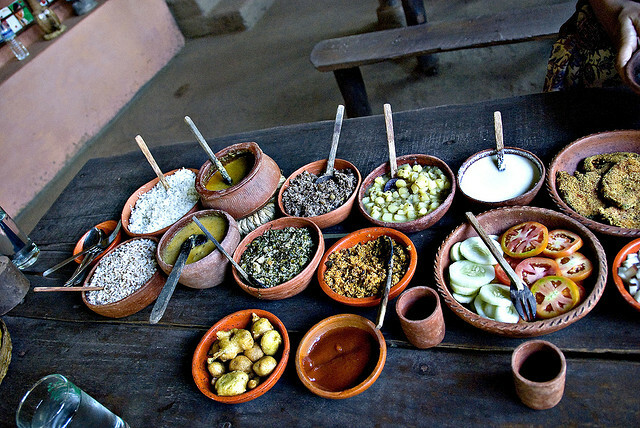 500/ person including wonderful and hearty Goan lunch. Shop: You may also opt to buy their organic spices, essential oils and a magic lamp from their shop which is nothing more than cute small wooden board with spice compartments. A delight for lovers of art, history, architecture, photography and desserts. Totally! Questioning locals on the Panaji riviera front about latin quarter might give blank looks, but just ask them about Mala & Fontainhas areas and they will enthusiastically give you directions for it. 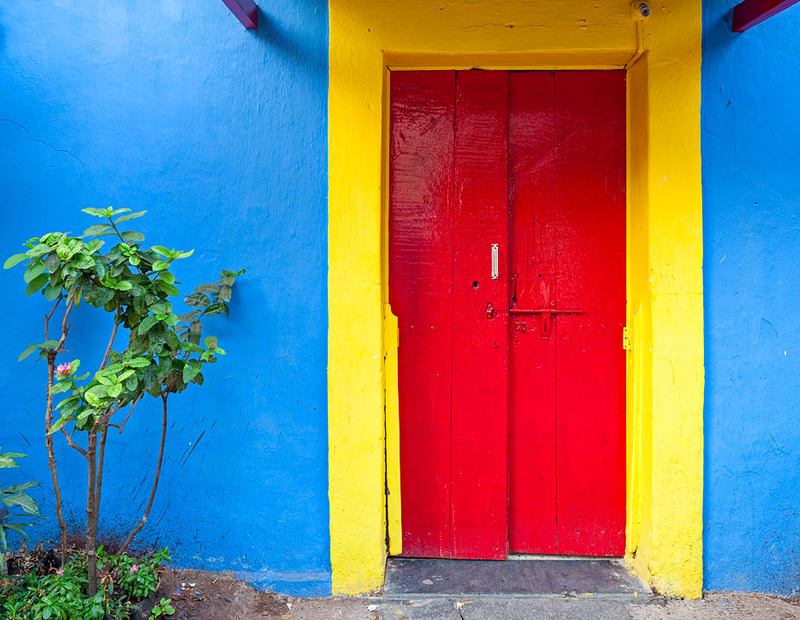 Quite distinctly marked by narrow lanes, portuguese villas painted in bright hues, quietness and cleanliness, latin quarter of Panaji is where you must go if you want to see how the streets looked when Portuguese were around. Thankfully most of the houses here still retain their old-world charm and this area is best visited on foot or on by-cycle through its by lanes. A number of art galleries can be located around here which also have a cafe inside. After our wide-eyed sojourn with this quaint and highly chraracterised neighborhood, we settled in Baba's Wood Cafe. This restaurant is clubbed along with its own garden accessories & furniture gallery and a small wine cellar. 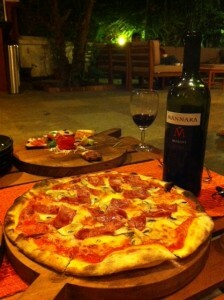 Very well spaced and built into an old heritage villa with laterite walls, this Italian restaurant offers a small but one of the most delectable food & drinks menu. Cafe space has been left open with loungers, sun beds, sofas, tables-chairs or even high stools at the bar. Pizzaz are baked in traditional wood fire ovens and the server will not hesitate to inform you if the fresh mushrooms required on your pizza could not be procured that day in the market and if they can replace it with zucchini ?! Small menu & fresh produce is what I hunger for, and I found it here. Oh and not to forget, their to-die-for freshly baked desserts! As usual, my lunch started with the dessert ;). P.S. 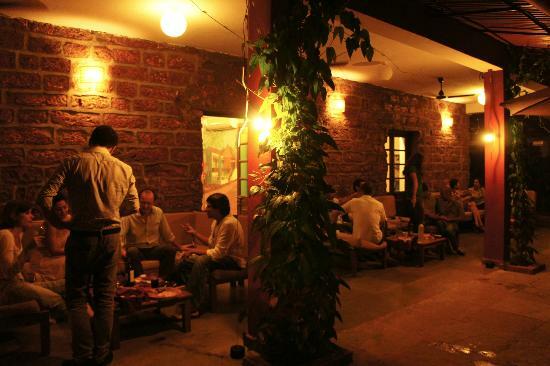 Just also happened to notice, this restaurant/cafe has won “Best New Comer” award from The Times Food and Nightlife Awards- 2012. 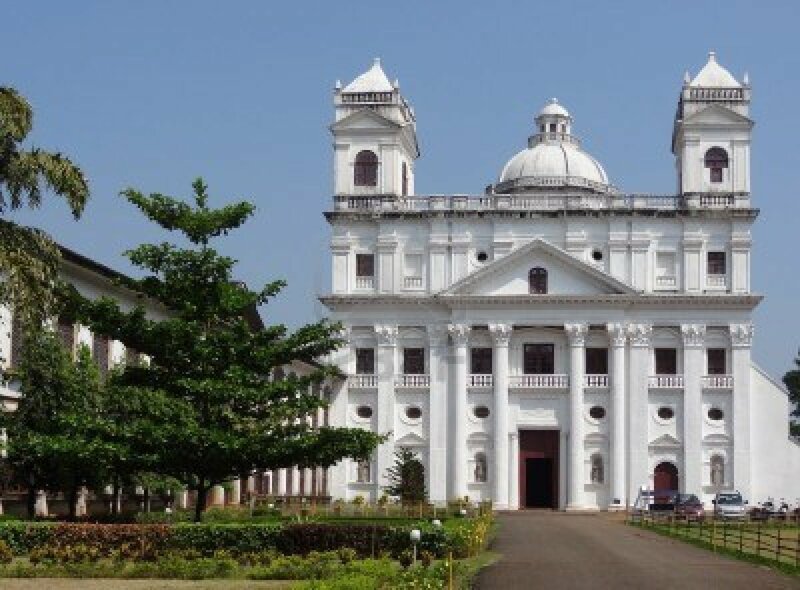 Its strange after having been visiting Goa year after year, I never could pick myself up to go and see the famous historical churches in Old Goa. But this time was different. We drove our way into Old Goa- Off National Highway17 (NH 17) and about 10 kms from Panaji. 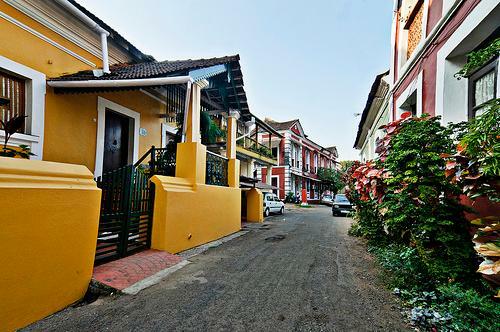 Full of character, this olden days' capital of Goa truly stands to its name in terms of architecture, civic amenities and yes people too. We visited about six churches here and I am not going to list them individually and describe each of them. I will tell you about some peculiar/ interesting things which I saw or heard. 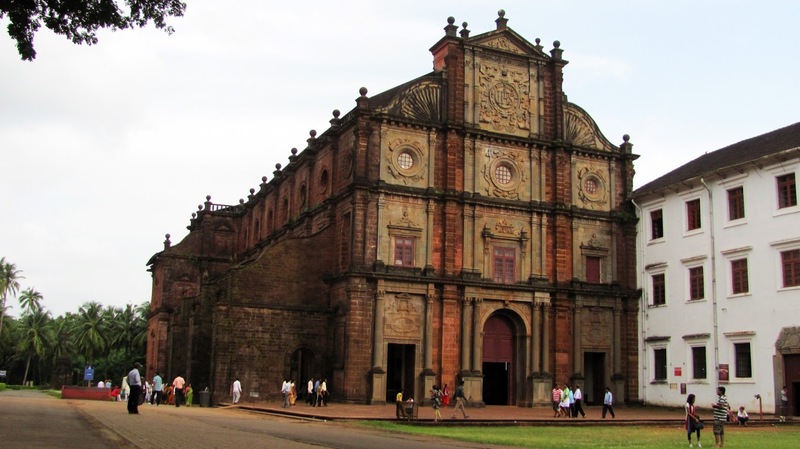 The biggest and the most popular of all, Basilica of Bom Jesus, a UNESCO world heritage site, holds the mortal remains of St. Francis Xavier- the patron saint of Goa. A little chat with a nearby cafe owner gives us more insight into what is widely believed and accepted. He tells us that the saint died on his way to China in 1552 and was buried there. But later it was decided to transfer his remains back to Goa when it was noticed that his body was as fresh. Saint's body has never been chemically treated or mummified, instead its been in perfect form since he died in 1552 ! Its only in between when catholic group here wanted to convey this miracle to Vatican which asked for proof. Finding no other way, they cut saint's one arm and shipped to Vatican. To everyone's surprise blood flowed out of cut arm from the body (after 200 yrs of death) and led the shrinkage of body. But body still remains here in this church inside a decorated case. The body is 'exposed' every 10 years for about 45 days and next schedule is in 2014 Nov- Jan which will attract hoards of faithfuls and tourists alike to seek blessings or simply witness this phenomenon. He also informs about the shift of Portuguese capital from Old Goa to Panaji in 18th century. It happened due to plague epidemic which hit Old Goa and shift of population 10 kms away to Panaji (then another village). Well the good result was that Old Goa till date retains its old world charm and not increasingly commercialized like Panaji. 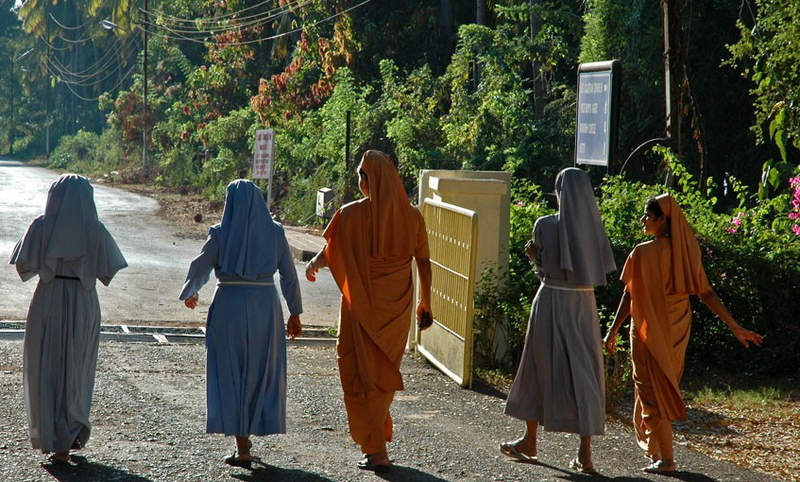 After having finished his story and describing his love for Goa, he doesn't shy away from complaining about the tourist guides hanging around the church and apparently giving away all jumbled up and wrong information to visitors. He also looks tired and dejected when talking about 'new-age' young tourists who only correlate Goa to alcohol and parties. He talks about origin of tourism in Goa which was primarily, to visit the church and take blessings from the saint's remains. Slowly people started discovering beaches and then it never looked back. The beach shacks etc are much recent phenomenon. Then of course we visited other churches with their own history, architecture, beliefs, art and museums. A full day walk through the town and some scooty rides in its villages makes your complete day! This place is recommended for lovers of art, nature, history and sustainable living. 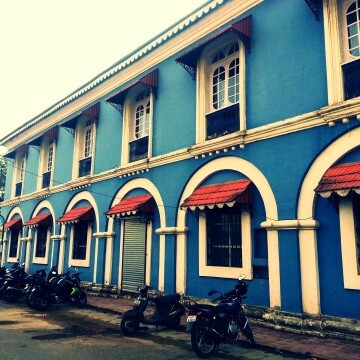 If you are visiting or staying in South Goa then this place can provide an interesting flashback into our ancestral heritage. 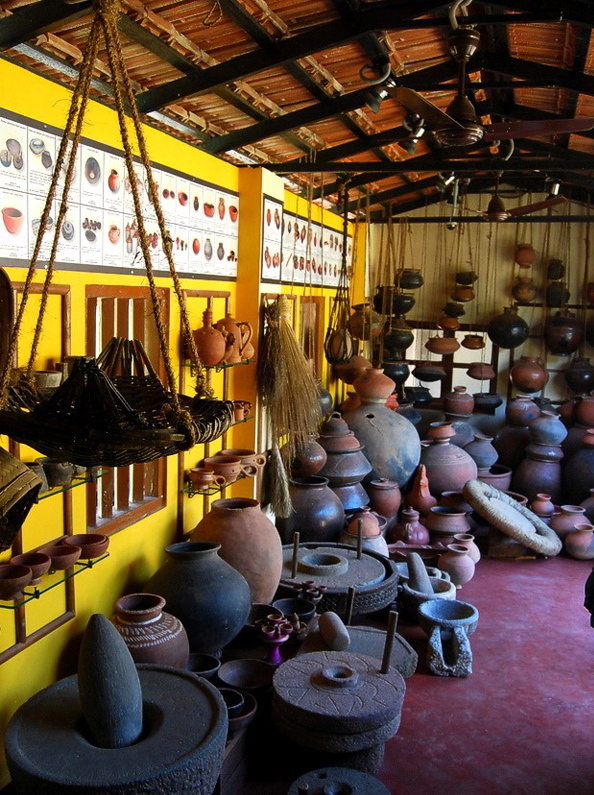 Its a privately owned collection of about 4000 pieces of ancient farming tools, kitchen utensils, various vases, doors, windows, musical instruments, chairs etc! A new section to the museum (not yet formally inaugurated) introduces carriages and wheels from ancient days, we happened to see at least 50-60 of them restored and carefully displayed in a hall. We are also informed that a collection of clothes and jewellery from ancient days is also into work and shall be put up soon. 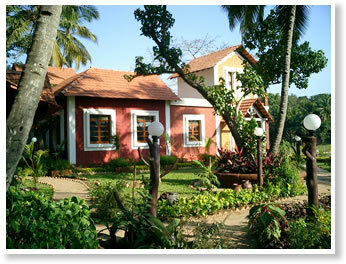 The whole guided tour of Goa Chitra takes about 1 hour and thats not all to it. In its background lies 100% organic farm of size about 1,20,000 sq ft. There is a rain water harvested well of size about 30 feet wide and 12 feet wide which is used not only for fish cultivation but to meet the complete farming needs as well. There is also a bio-gas unit, organic manure tank and of course compost too. The entire structure of Goa Chitra has been made by reutilising and recycling materials such as wood work, pillars, railings, doors, windows- all recovered from 300 demolished houses. 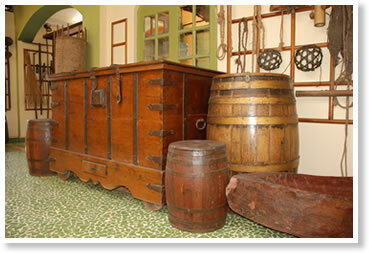 All these items contribute to the contemporary design of structure with traditional elements and technologies. There is an open kitchen (closed when we visited- prior intimation is required for food to be served) and juice bar. And top it all musical nights and gatherings are arranged sometimes in this very house, located deep inside the quaint village of Benaulim. And all this is one man's effort- Victor Hugo Gomes. Kudos to him !